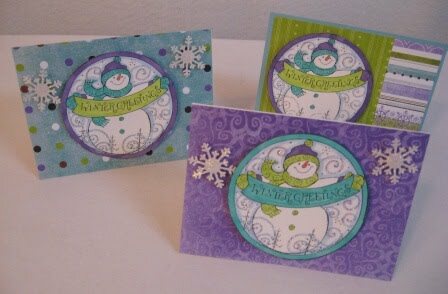 I have started to make some Christmas Cards. I started by stamping a Northwoods stamp on my water colour paper. Then I coloured them with my Copic markers. I used a Bo Bunny paper for the background. I have used pop dots to mount the snowman circle and the snowflakes. 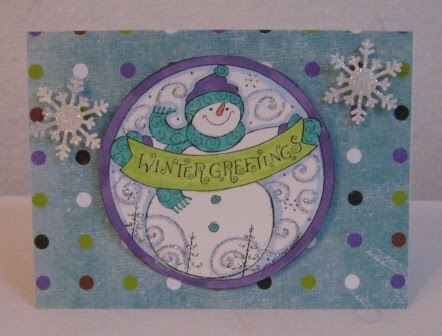 I used stickels on the flakes and the snowmen. I have done 12 so far, each is a little different.